Magnetic stir bars are an indispensable tool in any chemistry lab. Stirrer bars are normally used for several months or years because their coating – usually polytetrafluoroethylene or Teflon – is considered to be inert and they can be cleaned many times. But Valentine Ananikov and colleagues at the Russian Academy of Sciences show that the surfaces of such bars are more susceptible to damage and contamination than previously thought. The researchers studied over a hundred samples of cleaned stirrer bars, selected randomly from different laboratories. ‘After usage, the bars change colour, which can even be detected by the naked eye, and possess defects,’ Ananikov says. 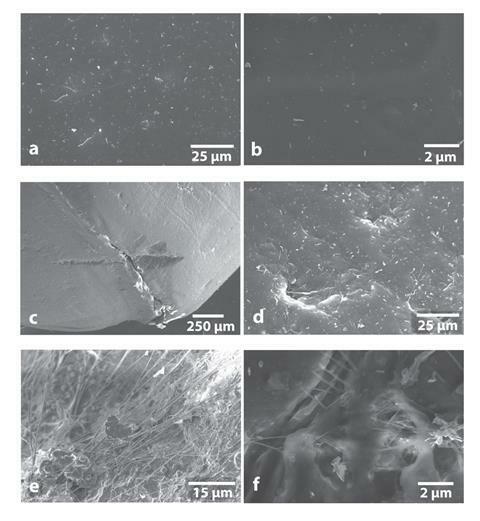 ‘We analysed the surface of the stir bars using scanning electron microscopy and observed multiple contaminations. Energy-dispersive x-ray spectroscopy confirmed the presence of metal nanoparticles – palladium, platinum, gold and others – on the Teflon surface.’ A computational study revealed a relatively high binding energy between the metal atoms and the polymer, especially at the defects. But the authors also see potential in their discovery. 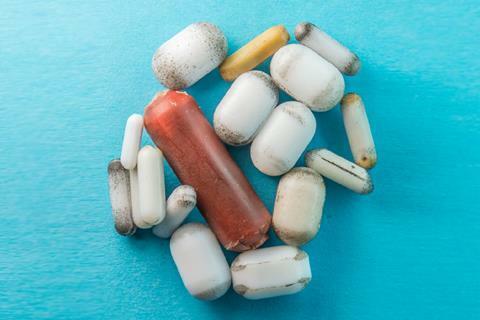 ‘Catalytically active nanoparticles or clusters could be purposely deposited on the surface of stir bars, which could then be employed as efficient reusable catalysts,’ says Ananikov. Although this option has been considered before,3 he points out that ’additional studies are required to fully address this opportunity’.